Business 2 Community recently published a telling article by Tony Zambito—a leading expert in B2B buyer research. In the article, titled Digital Commerce Is Disrupting B2B With No End In Sight, Zambito discusses the forward role that B2B e Commerce will continue to play with increasing importance as we barrel toward 2020. ‍Today, B2B e Commerce really is the expectation among B2B buyers. Tired of relying on sales reps to fulfill their every order, B2B buyers are demanding self-service B2B e Commerce in increasing numbers and smart suppliers are giving it to them. As Zambito points out, only 12% of today’s B2B buyers want to meet with sales reps to place orders. Instead, 70% of buyers are conducting their B2B transactions online. Zambito predicts this percentage will increase to 80% by 2020. For suppliers late to adopt B2B e Commerce, there’s no better time than the present. But, as Zambito explains, even early adopters need to take a fresh look at their B2B e Commerce portals. Manufacturers and distributors that have implemented outdated B2B e Commerce solutions in the past may find themselves left in the dust as buyer expectations continue to evolve into 2020. So, whether you’re looking to implement your first B2B e Commerce solution or replace an old one, here’s some helpful advice that we’ve distilled from a leading expert on the subject. Functions operating in silos are always less productive than they could be otherwise, and B2B e Commerce is no different. Online ordering channels should work hand-in-hand with in-person sales teams within an organization. “Online versus offline” is a mantra of the past. “Online and offline” is more in line with what buyers have come to expect. Sales teams need to embrace B2B e Commerce as a sales-enabling platform that will support their goals, not undercut their bottom line. Making sure in-person sales teams are on board and ready to partner with B2B e Commerce is a key element to ensuring success and breaking down walls in your sales process. Of course, choosing the right B2B e Commerce platform in the first place (one that can adapt to your business and customers’ needs) also goes a long way to eliminating these barriers. ‍Customers should be able to navigate your B2B e Commerce portal seamlessly across platforms. This means giving them access to online ordering across all devices, including desktop and mobile. Your sales reps in the field should also have access to B2B e Commerce technology that shares a common back-end with your self-service channel. 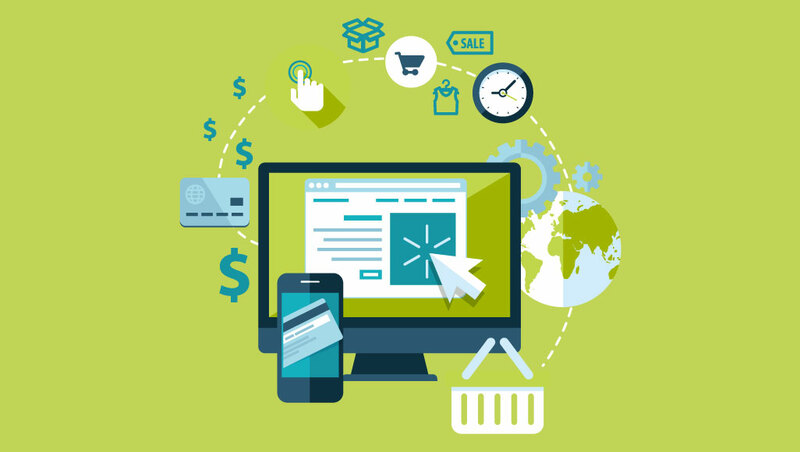 Whatever B2B e Commerce software you choose to implement, make sure it allows for an omnichannel customer experience. Integrations that automate common back office tasks, such as ERP, payment processing and shipping, are also important to consider. Modern B2B e Commerce platforms, especially software-as-a-service (SaaS) offerings, can accommodate a variety of software integrations. Ensuring that your back office can handle a high volume of orders without burdening staff through tight software integrations is key to making B2B e Commerce scalable for your business. ‍An essential component of any omnichannel B2B e Commerce strategy is business intelligence. Blending digital and in-person insights will help you provide an optimal experience for your customers and allow your sales reps to be more effective in the field. With your customers’ order history accurately captured in your B2B e Commerce portal, buyers can easily reorder items they require on a rolling basis. You may even be able to use this data to market similar products to individual customers. Sales reps can also use customer-specific data to identify trends and provide product recommendations to increase average order values. The ability to reference notes from previous sales meetings directly from an order entry app will clue reps into the needs of the accounts they service. Capturing these insights throughout the sales process, regardless of the channel a buyer interacts with, necessitates a sophisticated B2B e Commerce solution. Making sure sales reps are not working in silos apart from B2B e Commerce functions, creating an omnichannel experience, enabling critical software integrations, and allowing insights to inform activities across platforms...these goals are very difficult to achieve when outdated legacy systems are in place. To ensure a truly omnichannel customer experience, a modern approach to B2B e Commerce is required. There are plenty of B2B e Commerce platform options to choose from, but only SaaS solutions are equipped to keep pace with ever-changing buyer demands. This is because SaaS B2B e Commerce providers are able to push frequent updates based on a wealth of knowledge and experience from their vast user-base. Legacy B2B e Commerce solutions were implemented as a band-aid approach to customer ordering and are often fraught with highly manual processes. They also predate the wide adoption of mobile technology, which is now a must-have for B2B customers and sales reps ordering products shelf-side. As 2020 rapidly approaches and buyer demands for B2B e Commerce continue to rise, how will you respond? ‍To get ahead of the competition with B2B e Commerce, reach out to a Handshake specialist to see Handshake’s full B2B e Commerce platform in action.